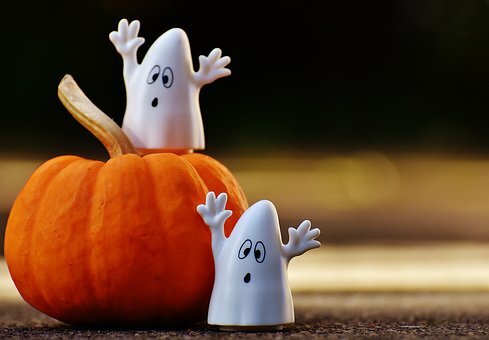 With Halloween around the corner, we have compiled a list of 10 things to think about before, during and after Trick-or-Treating to help keep your little boys and ghouls safe. Sometimes masks can obstruct your child’s view. Instead, try creating a costume with non-toxic face paints that can easily be washed off. Choose bright colors that help make your child more visible in the dark. Or you can add reflective tape or stickers to their costume to make them easy to see. Make sure if you choose to buy any costumes or accessories (masks, beards, wigs, etc.) that they have a “flame resistant” label on them. If you’re going to be hosting trick-or-treaters, make sure to remove anything that a child could trip over such as garden hoses, toys, bikes, etc. from your porch or front yard. If you have older children that are going alone, be sure to determine and review a planned route that is acceptable to you. Agree on a time your children should be home before they set off on their own. Remind your children to always look both ways before crossing any street and to use established crosswalks. Instruct them to never cross between parked cars, driveways, etc. Review with your children how to call 9-1-1 for emergencies or if they see anything suspicious. Be sure to sort through and inspect your children’s treats. Throw out any spoiled, unwrapped or suspicious items. For great costume ideas or Halloween decorations, check out our previous blog post “Last Minute DIY Halloween Costumes”. Last Minute DIY Halloween Costumes. Freaky Friday: What’s the wackiest item you’ve seen on 5miles? ← Last Minute DIY Halloween Costumes. Unfortunately in Las Vegas, kids do not go out in the neighborhoods to get their candy. We have events at the shopping centers.